We’ve all cringed at the A&E show ‘Hoarders’. These are certainly extreme case, but let’s face it…most of us have a few collections or piles in our basements and attics. In fact, there’s probably a little hoarder in most of us. 1. Your house stinks or smells musty. Chances are you’ve gotten used to it, but if other people they tell you about it, you may well be inadvertently hoarding mold. Mold loves paper and wood (cellulose) of any kind. It also grows and reproduces on food, on and behind the walls, where there is moisture, and even on the dust and dander from you and your pets. 2. You’re not able to use your home and the rooms in it the way they are meant to be used because there’s too much stuff in them. Mold loves cardboard boxes. Add a little moisture, and almost instantly you have mold growth. Unfortunately for us, mold is hardy and counts pretty much everything amongst the category of food—drywall, carpet, food, everything. Remember, mold eats what it inhabits, so your clothes and valuables may be in real danger of becoming a mold feast. 3. You have pests and unwanted mouse and bug guests. Where you find these guys, you will probably find mold. They co-exist together. Hoarding can also be harmful to those who are trying to help. Emergency workers have been injured trying to help the hoarder during lifesaving emergencies and there have been a few cases of firefighters dying after being trapped by the clutter. The problem of mold in a house is only exacerbated by the inability to find it due to immense clutter. A pipe could develop cracks or leaks and this problem would not be found for months or even years, becoming a breeding ground for mold. This danger can last even longer when you consider that the clutter in the house must be removed before remediation can occur, leading to mold continuing to grow for a longer period of time. Mold spores and mycotoxins can also be released into the air during the cleanup, due to all the moving and touching of damaged materials affected by the mold. It is important to seek professional assistance as soon as possible in order to address the condition and avoid any harm to the individual and/or anyone involved with the person. 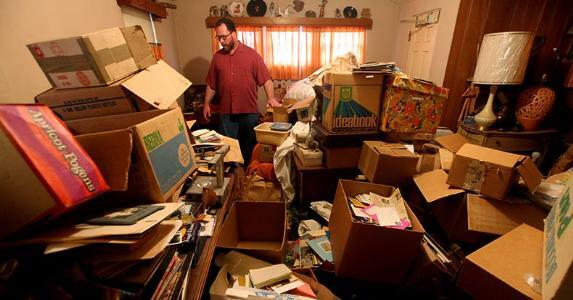 The dangers of hoarding can impact not only the affected individuals, but also their relatives, friends, neighbors, and pets, as well as emergency workers, social workers, firefighters, medical staff, and anyone else who may be trying to help. If you are helping a friend or family member to clean up, we strongly advise you to hire professional hoarding cleaning services to do the job. Experts have the necessary equipment and rich experience to perform any necessary hoarding cleaning procedures in a safe and efficient manner. Keep in mind that hoarders may be resistant to parting with their stuff. it is important to seek the appropriate help. Mental health professionals are a good source to turn to in order to address the mental aspects of hoarding. These professionals will be able to help ease the mental burden, isolation and depression that may accompany this serious health problem. American Psychiatric Association. What Is Hoarding Disorder? Anxiety and Depression Association of America. Hoarding: The Basics. U.S. National Library of Medicine. Hoarding Disorder: A Case Report and The economic and social burden of compulsive hoarding. 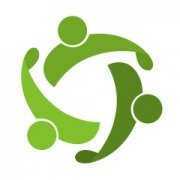 International OCD Foundation. About Hoarding. https://www.mold-help.org/wp-content/uploads/2019/04/male-hoarder-at-home.jpg 300 573 Carolyn Willbanks https://www.mold-help.org/wp-content/uploads/2019/03/moldhelp-654x300.png Carolyn Willbanks2019-04-15 21:01:302019-04-15 21:10:13Mold - Hoarders Are in Danger! Canada - Deadly Tropical Fungus Settles in B.C.